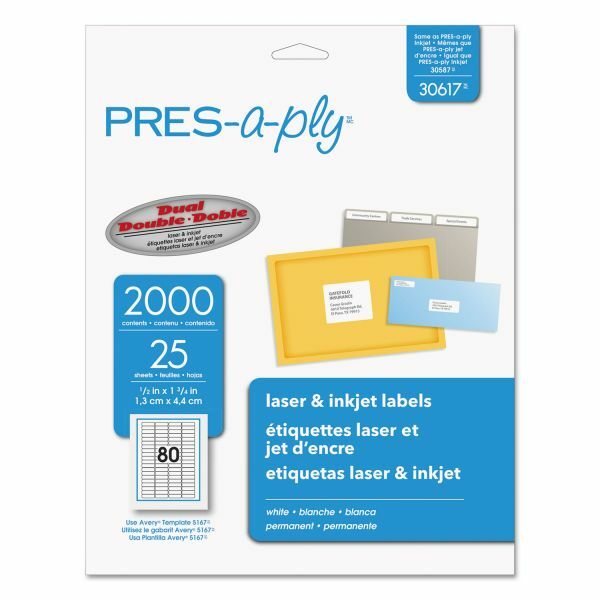 PRES-a-ply Laser Address Labels, 1/2 x 1 3/4, White, 2000/Pack - PRES-a-ply labels can be used for almost every addressing or identification need. They are great for high-volume, low-cost printing. Permanent adhesive means a secure, lasting seal. Labels come on letter-size sheets that are compatible with laser and inkjet printers.